Elegant Red Furniture Ideas for the Living-Room! Beautiful Red Furniture for the Living-Room! Do you love the color RED? Me too! (Actually I love ALL colors!) We all know that red is the color of passion and romance… But should we have it in the living-room? Why not? Red is a great color to have in your living-room! You can choose to have only one piece in red, like a beautiful red couch, (I LOVE this gorgeous red sectional sofa set on this picture!) for example, or a bright red chair in a corner, or you can go FULL red and also add a gorgeous red wall, some red lamps and a bright red area rug too! These are my favorite red pieces! 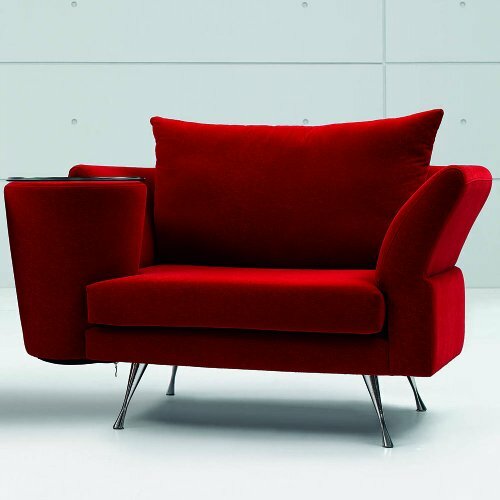 Coolest Red Furniture for the Living-Room! 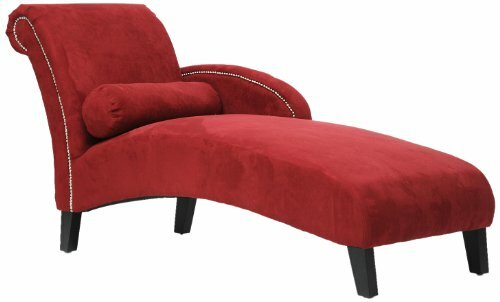 If you are looking to create a nice red corner in your living-room, how about getting a gorgeous red sofa? 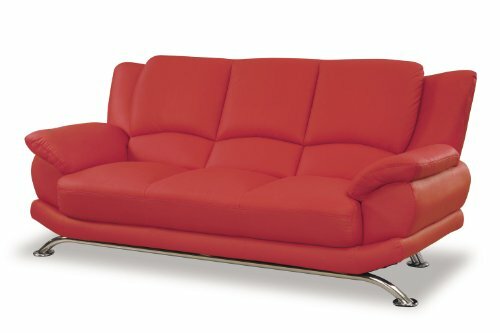 This red bonded leather sofa with chrome legs is very affordable and modern! Perfect for a ‘pop’ of color! You can choose to have it alone or match it with the red loveseat below. It looks absolutely gorgeous in a white living-room too! It will create an amazing contrast of colors! 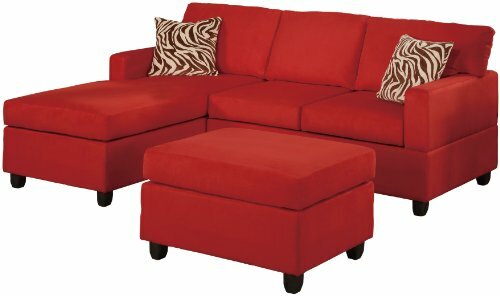 This is the red loveseat to match the red sofa above. I would get both, to create a complete red living-room! I would also get a red area rug and maybe one red floor lamp. This red love seat is very comfortable too! 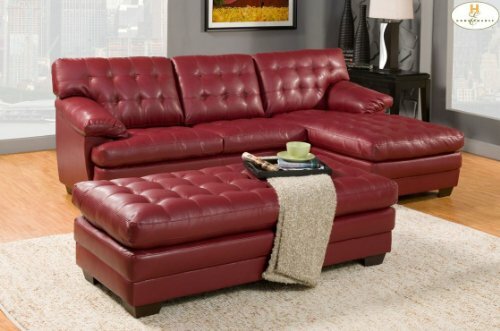 This is a very beautiful and super fancy looking 2-piece red leather sofa set for sale. Look how gorgeous it makes that living-room! This is the complete ‘red deal’! I love the huge red ottoman! It complements the room nicely! The price is actually pretty good, considering you are getting all this! It is super comfy too! If you want to ‘break’ all the redness,just add a few white or dark brown throw pillows for example. 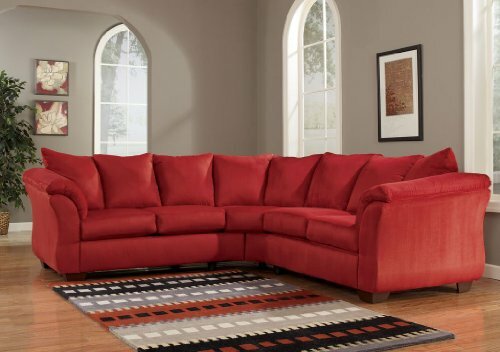 If you prefer a red fabric sofa instead of bonded leather, this is a gorgeous and also super fancy looking one! Will make your living-room very inviting! 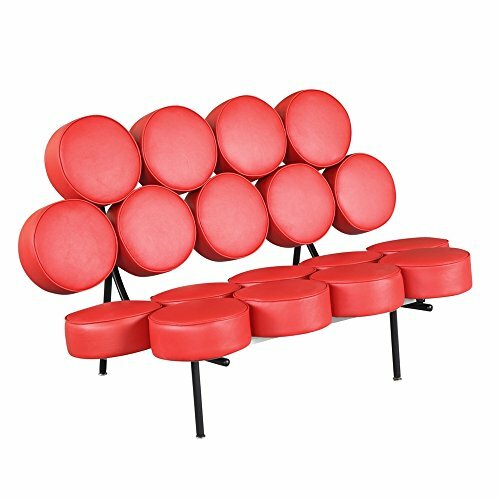 If you are into super cool and unique modern furniture you are going to love this awesome red leather sofa made from red Italian leather cushion circles! Yes, it is a comfortable chair too! Very pop and fashion piece! Another super cool bright red piece to have in your living-room! Wow! Look at this chair! 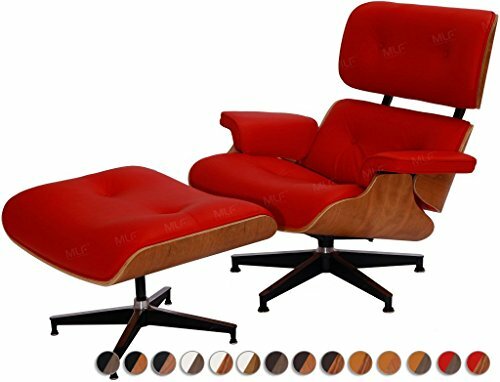 It’s a gorgeous Charles Eames top Italian leather lounge chair an ottoman! Beyond comfortable! Another fun red piece furniture idea to have in your home-office! You know me! 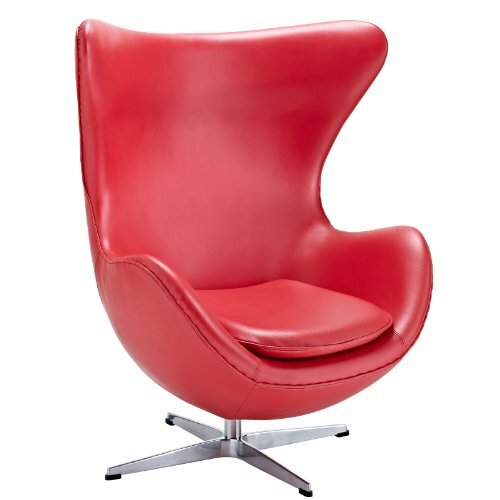 I gotta include a gorgeous red egg chair in the mix! 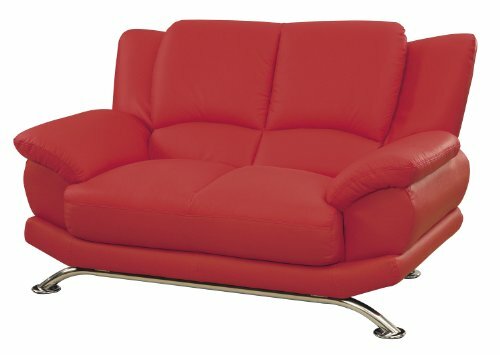 Made from luxurious Italian leather, it’s perfect to create a ‘retro’ red look in your living-room or home office! I don’t know about you, but I LOVE a beautiful chaise lounge chair for the living-room! It is so fancy and so perfect for reading! It’s a very unique ‘cafe style’ bright red chair with a left side red table! What a great way to create a cool ‘Cafe’ atmosphere right in your living-room! The cool red table is attached to the red chair already! Can you think of a more perfect way to read a book while you drink your coffee? 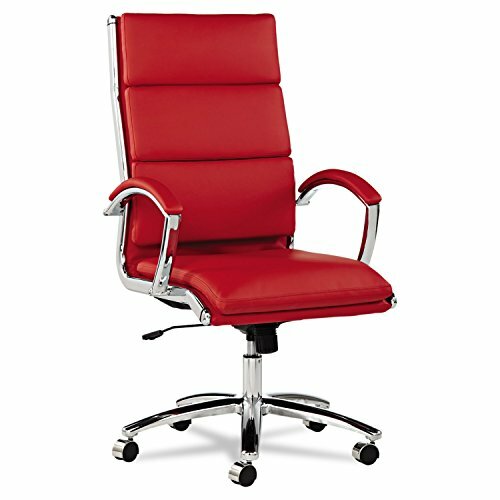 A gorgeous and very RED comfortable desk chair! It is perfect to reduce pressure on your back while you work on your computer! 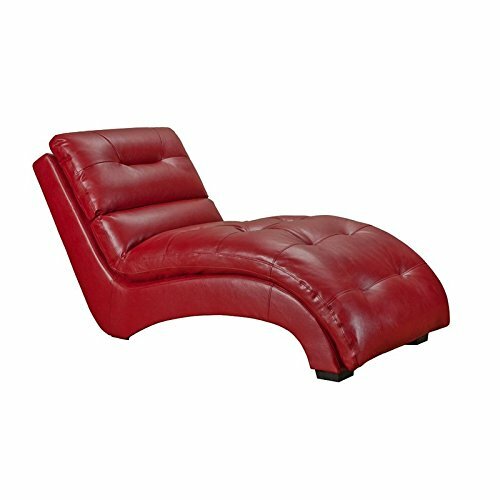 Amazing Modern Red Leather Tube Design Armchair! 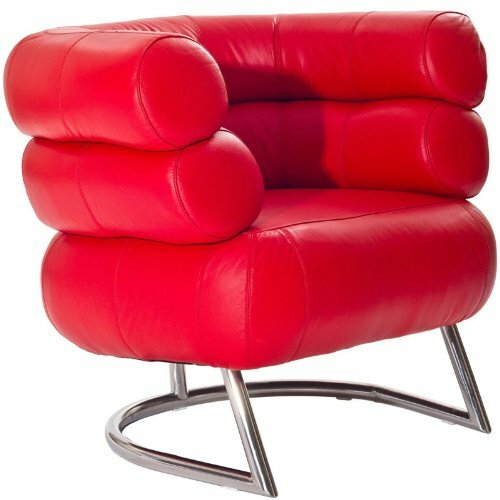 How about this gorgeous semi-circular padded tubes red leather armchair for sale? It has a very cool and unique ‘tube shaped’ design! Great red piece to have in any living-room! 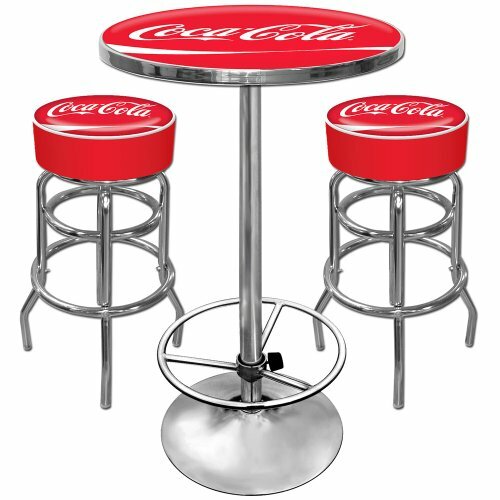 Check out this amazing red Coca-Cola round table and bar stools for sale! Perfect to have in your game room or near your home pub! 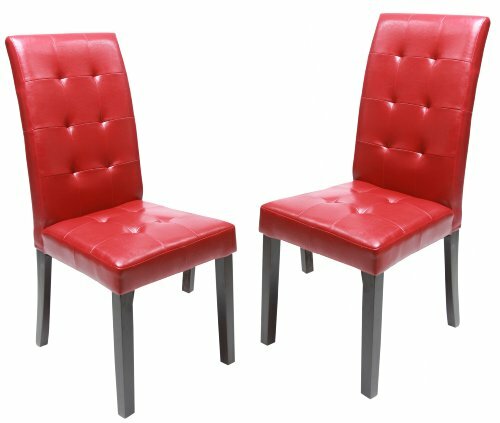 These are super gorgeous red dining chairs for sale! You will get two of them! Perfect to create a fun ‘red dining-room’! They are also sturdy and comfortable! *I hope you enjoyed my red furniture ideas for the living-room (and dining-room) and were able to pick something for your home!